Nevado del Ruiz volcano in central Colombia, 130 km WNW of Bogota, is a broad, glacier covered volcano. A relatively small eruption in 1985 caused a devastating mud flow that killed almost 25,000 people in the town of Armero, marking one of the worst volcanic disasters in history. Sadly, this tragedy could have been easily avoided if clear warnings by volcanologists had been taken seriously. 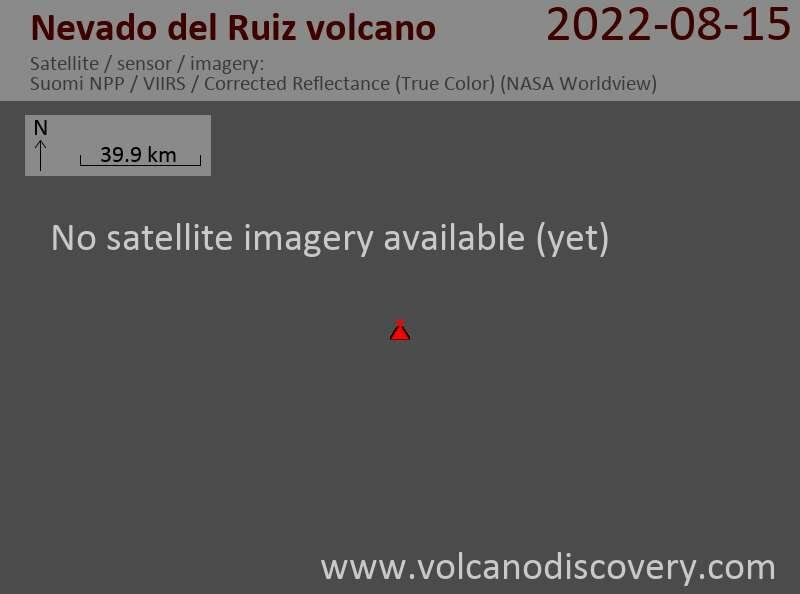 Nevado del Ruiz Volcano Volcanic Ash Advisory: POSS VA EMS.